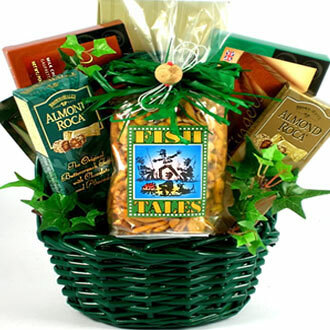 This fishing gift basket is a whopper! 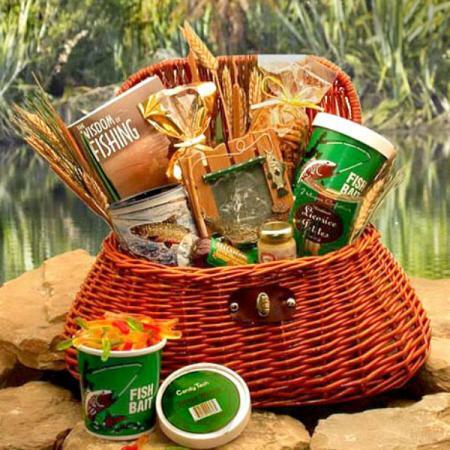 This sizeable handcrafted basket and fishing creel set is piled high with everything any self-respecting fisherman or fisher-woman could ever need. Well, less the fishing poles, lures, hooks, bobbers and fish that is. 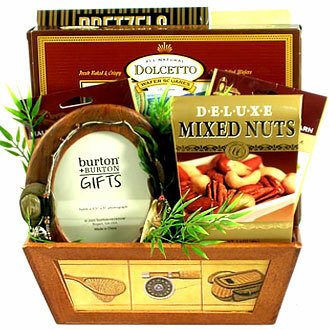 OK, it is filled with a whole lot of yummy stuff and some pretty nifty fishing related gifts that they will absolutely love! Don't let this "Big One" get away! 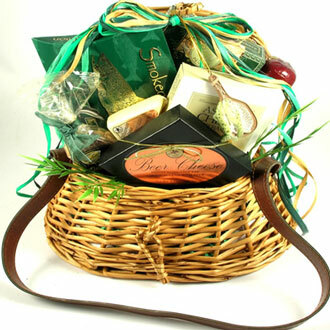 This gorgeous Whale of a fishing gift basket features a very attractive willow basket and fishing creel set that they are going to be proud to sport down at the ol fishin' hole. And if they don"t bring home dinner, that's OK because the creel arrives piled high with a large selection of delicious treats and gifts to enjoy while telling fish tales. A book filled with fishing-related facts and quotes titled "The Fisherman's Book of Wisdom"
A very detailed ceramic fishing themed frame so that they can proudly display their favorite photo of them holding the "Big One," or holding a case of beer with their fishing buddies if the "Big One" got away. 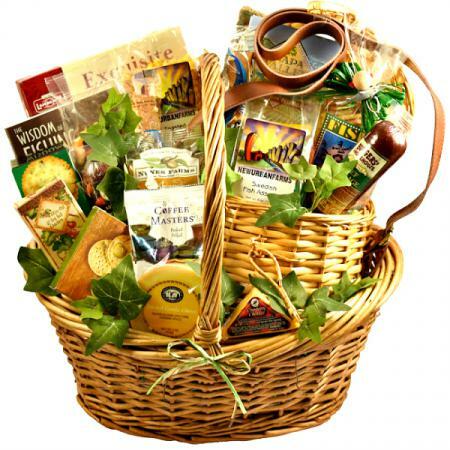 When you are looking for a fisherman gift basket, this is the one that will help them get through the off-season. 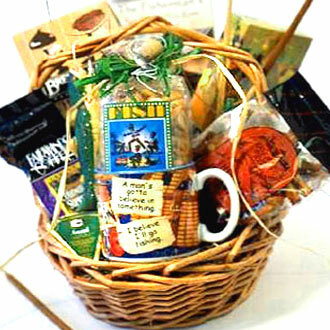 There's nothing fishy about this excellent fishing gift basket; this one's a keeper!! !